SKU: #11. Category: Western eBooks. Ambush On McClure Pass © 2013 by Raymond Cook is a 205-page story about Patty Ford who is the only survivor when six rustlers attack and kill her parents and four brothers and steal their herd. Patty’s left for dead, and a Parson and a school teacher headed up McClure Pass find her. They get Patty back to town, and Doc Miller’s wife, Kelly tends to the woman’s three bullet wounds. The school teacher will use her buckboard to accompany the sheriff, and his deputy’s to retrieve Patty’s family’s bodies and have them buried. In the meantime, later that afternoon, two twin brothers Don and Billy Kilpatrick who are gunfighters are shot on their way to Marble after they killed seven men over a crooked card game in a Redstone saloon. When they ride into town and fall off their horses, Sheriff Coldstar mistakenly thinks they have something to do with Patty’s family’s murders, and they are locked up. It is a long recovery for all three people, and slowly a friendship is formed. When spring arrives after kneeling beside her father’s grave and saying goodbye, she vows to find the six men whose horses carried the triple ‘L’ brand and kill them. Her journey will take her and the two brothers to Colorado Springs, Colorado where Patty will buy a rundown saloon and renovate it. Patty figures that sooner or later the six men who killed her family and shot her will one day walk into her saloon. This book is the best book of the nineteen-part series I’ve written since 2011. By the time everyone had finished a big breakfast, the six men hired to help the Ford family arrived. Alex waved his hand as he neared the front porch. The chuck wagon was already beside the front porch as all six men tipped their hats. Each man had a heavy bedroll tied to their saddle bags behind their saddles. “It looks like you men are ready to hit the road.” George said as the men laughed and nodded. Well, we’ll get on our horses and cut out the cattle I want to get over to Carbondale. If you fella’s cut out the calves and yearlings, my sons, Amber and me will herd the other cattle toward the barn. Once they’re all gathered up, we’ll open the pasture gate and head for the pass. 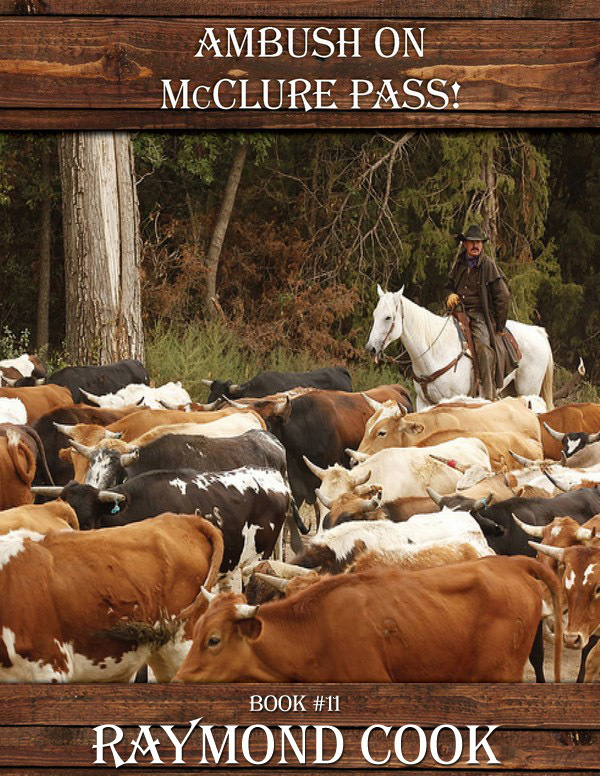 When we reach McClure Pass, I want you men to break up the herd into groups of about 50 cattle. It’s a rugged pass and I don’t want to lose any more cattle than I have to if they slip off the side of the road.” George said as he saw the men nod. It took about an hour for the 11 riders to get the cattle separated. When everything was ready and Corin was in the seat of the chuck wagon, the pasture gate was swung open and the cattle were slowly brought out. George stopped beside the chuck wagon long enough to lean over and kiss his wife as he told her he was riding up ahead to clear the road ahead for their cattle. Corin watched as the cattle slowly passed her as riders called out to the cattle. On the way to McClure Pass, many areas of the land were flat and easy for wagons to pull off the road. George knew the pass well and he knew the spots where they would stop for lunch and supper before bedding down the herd. It took three days to reach McClure Pass. When George reached the top of McClure Pass, he stopped his horse and waited for everyone to catch up to him. As he rode back up the pass to everyone, he told them that the road ahead was narrow. “The roads only wide enough for four or five cattle. Move them nice and slow. Don’t hurry them. If it takes longer for us to get over the pass, that’s okay. There are two spots on both sides of the pass that are large enough for us to get the cattle off the road for lunch and supper. Once we get almost to the bottom of the pass, there’s a spot called, ‘Devil’s Bend.’ That’s the most dangerous part of the pass. Once we get passed that bend, there’s a large clearing on the left. We’ll bed down there for the night. We shouldn’t have any problems after that as long as I keep the road ahead of us cleared.” George told everyone. Then he turned his horse around and headed up the pass. What wagons George encountered were able to pull off the side of the road. By the time they reached where they’d camp for lunch, George was waiting as he waved his arm to turn the herd into the grassy clearing that had a pond in it on the left side of the road. When the last of the cattle entered the clearing, Corin used the chuck wagon to block off the opening to keep the cattle in. Everyone unsaddled their horses and let them graze. When they finished eating lunch they re-saddled their horses and headed for the top of the pass. When they reached the summit, they bedded down for the night. It was agreed that two of the six men George hired would stand watch the first half of the night. The other four men would go to bed early. Then two of the other men would relieve them. On the next night, two of George’s sons would split up watching the herd at night. There was the risk that a cougar, bear or wolves could stampede the herd in the middle of the night. If that happened everyone not already on a horse was in danger. So George kept all of his families horses saddled and close to the chuck wagon. If the cattle scattered, it could take several days to round up as many cattle as they could find. When morning came, Corin made a huge breakfast for everyone. George didn’t need any provisions so he turned his attention back to the pass. Folks couldn’t make the bend in the road wider without triggering more and more landslides. A landslide would block off the road and no one could cross the pass from either direction. He waited right there until he saw his cattle appear and rode back up the pass to speak to Alex. “Pass the word to everyone else. Devil’s Bend is up ahead. If we’re gonna lose any cattle, it’ll happen there. Just tell the men to let the cattle follow the road at their pace.” George said as Alex said, “yes sir.” Then he turned his horse around. George wiped his brow with his handkerchief as he watched his cattle get closer and closer. There was nothing else he could do there, so he rode farther down the pass to clear the way. When he reached the bottom of the pass, by the time the cattle came into view, four freight wagons were waiting off to one side. When Alex rode up to George, slowly they turned the cattle into the huge clearing on his left. Finally the chuck wagon came into sight and George could see Corin excitedly waving at him as he waved back. The worst of their journey was over he thought. But he was wrong. 150 yards further down the pass was a fork in the road. The main road led to Redstone and the fork to the right led to Marble, a small marble mining town. Beyond Marble to the east was Schofield Pass, leading to the towns of Crystal and Crested Butte. With pleasant weather, plenty of water and grass to feed on, the cattle were happy to rest. That went for the ten men and two women as well. Alex and his five friends volunteered to circle the herd and round up any strays that had wandered away. Corin and Patty prepared to make supper. Now Alex had the privacy he needed to tell his friends how they were going to jump the Ford family and steal the herd. “After we have breakfast in the morning, we’ll all be gathered around the chuck wagon. When ya hear me give a loud cough, draw your guns and shoot. Once everyone’s dead, Chris, you get over there and cut that telegraph line. We’ll cut it three more times before we reach Redstone. We don’t need a posse waiting for us before we reach Carbondale. With the telegraph line down, we don’t need to push these cattle hard. I want us riding into Redstone and Carbondale just like we own these cattle,” Alex said. The other men nodded and split up to circle the herd. By the time it was dusk and they rode back into camp and were about to get down and take the saddles off their horses and tie them next to the other horses. As Alex took off his hat, he told George they had rounded up the loose strays and that the herd was calm and resting. George thanked him and told him he and his brothers were hard workers. Corin’s made a fine beef stew with biscuits men. Grab yourself a plate and help yourselves,” George said. Corin smiled as she filled each man’s plate. The six men who were about to kill the family were polite, even then, making sure they thanked Corin and praised her cooking. At sunrise, as Corin and Patty prepared breakfast Alex told George and his sons they would ride out and check on the herd. In about twenty minutes they slowly rode up to the chuck wagon. Everyone sitting down holding a plate when Alex gave out a loud cough. Suddenly, all six men drew their guns and began shooting. Everyone in George’s family was armed except for Corin, but they shot her too. When the gunfire ended, gun smoke hung heavy in the air and bodies lay everywhere. The men holstered their pistols and Chris tied his horse to the back of the chuck wagon while the other five men began moving the cattle towards the road. Chris tied the family’s six horses also to the back of the chuck wagon, leaving the saddles on the ground. Everyone in the ford family lay dead except for Patty and she was close to death. She had raised her left hand up and the first bullet struck her hand before hitting the left side of her head. The next bullet hit her in the upper chest. By the time she was conscious, her head was throbbing and her hair was matted with dried blood. There were tears in her eyes as she looked around and saw her parents and brothers dead. She struggled to turn over on her side as she took a towel from beside the campfire and pressed it against her chest as she coughed. As hard as she tried she wasn’t able to stand up so she crawled first to her mother and then her father’s body. She called out each of her brothers names but she heard nothing but silence. The pancakes still in the frying pan had turned black and she smelled the smoke from it. She could see their chuck wagon and their cattle were gone. Their horses were gone too. At that moment, Patty believed she would die there beside the rest of her family as she lay against a saddle. By the time she awakened, she could see the sun was high in the sky. In the distance she could see a couple in a buckboard heading for the pass and she grabbed the towel lying near her and tried to wave it to attract their attention. But the couple continued to head up the pass and they never looked in her direction. Desperate to get them to know she needed help; she pulled out her Colt and fired three times before she passed out. 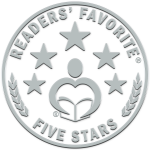 5-Star Reader’s Favorite Book Review by Anne-Marie Reynolds. Ambush On McClure Pass by Raymond Cook is a great story, a proper tale of the Wild West. It has everything you would expect; the cattle rustlers, the cowboys, the gun-toting card sharks and more! Raymond Cook appears to have poured his heart and soul into this wonderful story, a tale of tragedy, despair, revenge and retribution, everything a Western story needs. The characters, and there are a lot of them, are very well developed and, although this book is part of a long series, I found it easy to read and keep up with. It flowed well, there was plenty of action and a lot of raw emotion. I loved it and I think any fan of the Wild West era will love it, too. 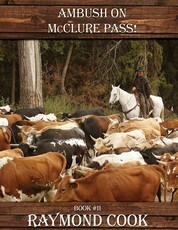 Ambush On McClure Pass is the best western frontier eBook I’ve written of the eleven books penned so far. It was uploaded onto Amazon on February 28, 2013. I have made this comment section so I can share with visitors to my website what readers felt about “Ambush On McClure Pass!” To have me add your comment, just go back up to the top of the page and click on the Contact Me tab. Hold onto your hats! I’m glad I decided to read Ambush On McClure Pass! Talk about reading a story and feeling you were right there. If you like stories about cattle rustler’s buy this book.